Will Former Gov. 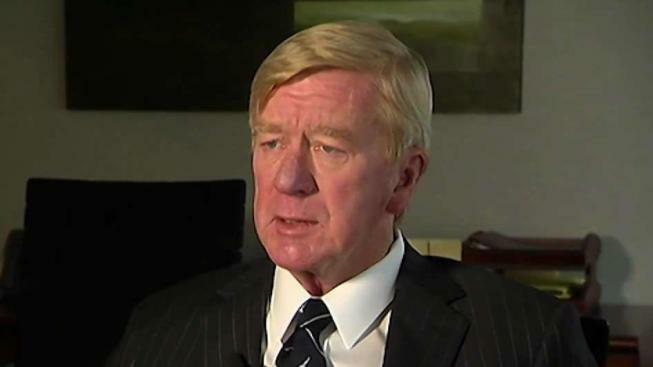 William Weld Challenge President Trump in Primary? Former Massachusetts Gov. William Weld is considering a run for president in 2020, but it is not known if he will run as a libertarian or as a Republican primary challenger to Donald Trump. Former Massachusetts Gov. William Weld has changed his party registration from Libertarian back to Republican as he mulls a possible primary challenge against President Donald Trump. Weld served as a Republican governor from 1991 until 1997. He later became a Libertarian and ran for vice president on a ticket with former New Mexico Gov. Gary Johnson in the 2016 election. The clerk's office in Canton, Massachusetts confirmed Tuesday that Weld recently changed his party registration to the GOP. If he runs for president as a Republican, he could be Trump's first challenger within the party. Weld has not returned messages from The Associated Press. Weld is expected to visit New Hampshire Feb. 15.